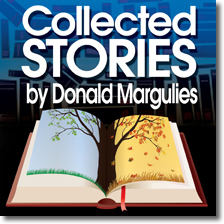 Don’t miss the reading of Donald Margulies’s COLLECTED STORIES, the critically acclaimed two-person play that has captivated audiences for over two decades both off and on Broadway. It’s a riveting tale of friendship, betrayal and the cost one is willing to make on the road to fame and fortune. Ruth Steiner is an acclaimed short-story writer. Lisa Morrison is an aspiring young novelist looking for her big break. Upon agreeing to mentor Lisa in the art of writing, Ruth not only finds someone who reminds her of her younger self, but also a trusted confidante. But when Lisa finds success with her first novel and spills Ruth’s innermost secrets, including an affair she had with real-life poet, Delmore Schwartz, the women quickly find their six-year relationship in jeopardy as the bonds of loyalty are forever tested between them. PERFORMANCE DATE: One performance only June 17, 2 PM at Hunterdon County Headquarters Library, 314 Rt 12, Building #13 Flemington NJ 08822. For more information, please contact Merrylarue@aol.com or 908-399-3586. To learn more about OCP please visit Oldwick Community Players website: http://www.oldwickplayers.org/ OR on Facebook (ocpoldwickcommunityplayers).